When visiting John Herschel at Slough on 25 March 1827, Baily discovered NGC 3457 with the 18.3-inch reflector. It is a galaxy of 12.5 mag. In Herschel J., Obs. of Nebulae and Clusters of Stars, made at Slough, with a Twenty-feet Reflector, betw. the years 1825 a. 1833, Phil. Trans. 123, 359-509 (1833), the author notes for h 793: ‘observed by Mr. Baily’). 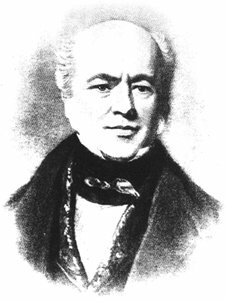 At the time of his visit Baily was President of the Astronomical Society of London and a regular guest in Slough. He is well known for his work on star catalogues, e.g. the revision of Lalande’s Histoire Céleste and the British Association Catalogue (BAC), which was published in 1845.